Let online shoppers immerse themselves in your Zillow 3D Home View for Listings. 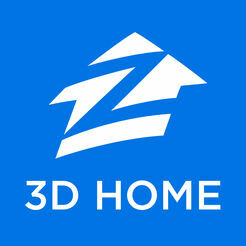 Zillow 3D Home View for Listings has exited Beta Testing and now available. See for yourself below. 3D Real Estate Virtual Tours are becoming a common tend in Las Vegas, Henderson and other parts of the country. Las Vegas and Phoenix were first to try out the 3D Home Virtual Tours for Real Estate Listings Program. As an original Zillow 3D beta tester of the program, I understand the time and planning needed to get the shots that will work on the platform. Use my reputation as a photographer who wins business for clients and helps their listings perform. Real Estate Agents! WIN THE LISTING! Include Zillow 3D Home in your toolkit to show sellers you’re the clear choice to help their home attract more buyers. Using Zillow 3D Home View in your presentations shows your understanding of technology being used online where people seek 3D Real Estate Virtual Tours to view when making a choice of what to see next or possibly offering without an appointment in order to beat out multiple offers. Property Managers! MOTIVATE POTENTIAL RENTERS! Drive highly motivated renters to your community by providing a virtual walk through of your apartment with 3D Real Estate Virtual Tours. Much like Zillow WalK Through Videos offering a 2nd page search result for listings using Zillow Walk through Videos. Zillow has created a 2nd search result page for home with Zillow’s 3D Real Estate Virtual Tours list. Listings with a Zillow 3D Home View, get priority in search results, giving your sellers and communities more exposure. Get Professional Photos, a Walk Through Video and now a Zillow 3D Home View for your Zillow Premier Agent Listing!